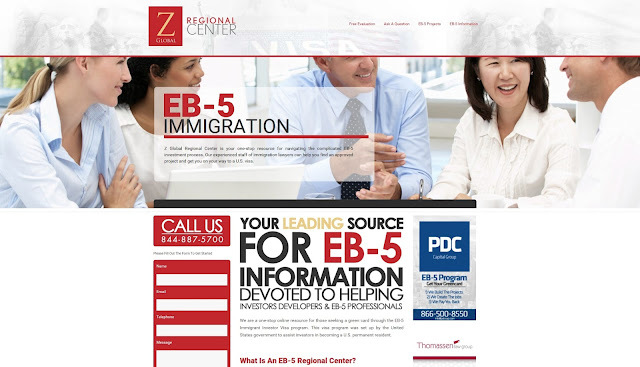 The latest EB-5 regional center to face charges from the SEC (U.S. Securities and Exchange Commission) is the Z Global Regional Center, owned by PDC Capital, owned and managed by Orange County attorney Emilio Francisco, who took in $72 million from mostly Chinese investors and allegedly bought himself a yacht through $9.6 million stolen from the investors. As with any government program installed without the proper controls, this industry has attracted opportunists who would exploit or abuse this program for financial gain. What makes this particular EB-5 scandal different is my involvement. Almost a year ago I made a complaint about Mr. Francisco to the SEC, contending that Mr. Francisco was violating securities laws in soliciting investors by not disclosing his sordid legal history. I performed a background check on him and found one bankruptcy and 38 civil liens and judgments against him. If such information was disclosed to you, would you entrust $500,000 to him? 1. No background checks are done on the executives of regional centers. Instead, regional center approval is based mainly on the submission of an economic study produced by the econo-whore industry. USCIS is now adding additional economists to scrutinize these economic studies when they would be better off using an administrative assistant to perform background checks on the CEOs. $10 and 10 minutes each is all it would take to screen out scoundrels. I have found many regional center executives with unfavorable legal histories. The most common problem seems to be IRS tax liens, but civil judgments and foreclosures are also common, and recent bankruptcies of the executives are not uncommon. 2. Misprioritization of effort. Between August 2012 and December 2016 the number of USCIS-approved regional centers quadrupled to 865. Meanwhile, in June 2016 the USCIS reported a backlog of 16.7 months for I-526 (temporary green card) petitions and a 21.3 month backlog for I-829 (permanent green card) petitions, while regional center applications were dealt with in an average of 10 months. With a 38-month delay for each visa applicant on top of the 2-year period in which the I-526 petitioner creates at least 10 permanent jobs, the green card process has mushroomed from 2 years to over 5 years. There are lawsuits against the USCIS for unreasonably delaying action on EB-5 visa applications. The U.S. already has too many regional centers. Better to re-deploy staff resources to resolve the delays in visa processing times. 3. Too many regional centers. Consider that only 10,000 visas are allocated annually for this program, less than 12 per regional center for the 865 regional centers. A recent NES Financial conference indicated that the average regional center has $50.3 million in investor funds, corresponding to about 100 investors. 865 regional centers can thus accommodate 86,500 investors, or about 10 years' worth of investors considering that 90% choose regional centers for their EB-5 investments. 4. Lack of transparency. The USCIS does not make regional center applications (I-924s) and annual status reports (I924A’s) public, making them very difficult to monitor. Moreover, to make an FOIA (Freedom of Information Act) request, the USCIS requires me to secure the permission of the regional center. A crooked or ineffective regional center would not permit such a request. 5. Disorganization of information. Last year I made an FOIA request to the USCIS to find out how many regional centers had actually produced permanent green cards for EB-5 investors. They responded that I needed to narrow my search parameters. I then requested the number of I-829 (permanent green card approvals) accomplished in years 2013 through 2016. It took them a week to compile the list, which had many duplications as well as some nonsensical entries such as “NonRegional Center NonTargeted” as well as “Non-Regional Center Non-Targeted” as well as “regional center”. 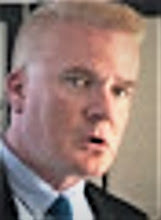 I counted just 48 unique entities, two of which have already been terminated for fraud (Luca Energy and the South Dakota International Business Institute). This means that out of 865 regional centers, less than 6% have actually produced permanent visas for their clients in the last 4 years. What surprised me the most was that USCIS was not even measuring the success of its EB-5 program and that all of this data could have been at their fingertips with a properly maintained Excel spreadsheet. 6. 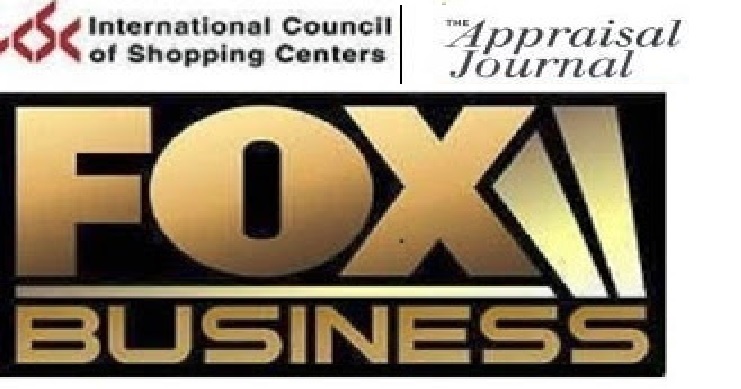 Approving regional centers operated by unqualified people. The four most common types of regional center owners I see are real estate developers, immigration lawyers (such as Mr. Francisco), securities salesmen and real estate salespeople. Of these four types, only real estate developers actually create jobs. The immigration lawyers, securities salesmen and real estate salesmen attracted to the EB-5 program are typically underemployed and lack the capacity or knowledge to create jobs. They serve merely as opportunistic middlemen siphoning off fees while searching for job-creating enterprises, sometimes at a leisurely pace. The EB-5 program would be better served if regional center approval was restricted just to job-creating enterprises, of which real estate development is the most common in this program (86% of projects). 7. Allowing the sale or rental of existing regional centers to unvetted entities. The Z Global Regional Center falls into this category. Its regional center ID number indicates that it was approved by the USCIS in 2010, but there is no record that they accomplished anything prior to selling their regional center to Emilio Francisco in March 2015. He's not the only shady buyer of regional centers that I have seen. Indeed, some regional centers are created and approved without intention of following up on their fake business plans and instead immediately shop around for buyers or renters, but nobody keeps track of who the buyers and renters and what their intentions are. These regional centers make their presence known at EB-5 trade conferences. For an example, go to eb5affiliatenetwork.com. Some regional centers are even sold to foreign entities. I’ve seen one sold to an entity in Mauritius (off the coast of Madagascar), another rented to a Canadian company whose CEO has a criminal history in the U.S. (Canadian criminal records are private), and the Seattle Area Regional Center, an active real estate developer, sold a 20% stake to a Chinese real estate developer and the CEO then bought a $2.9 million Thunder Jet boat. This is all supposedly legal. Baidu Baike (Baidu Encyclopedia) published an interesting statistic on litigation against EB-5 regional centers: Between February 2014 and August 2015 there were 5539 EB-5-related lawsuits from Chinese investors. That amounts to more than 300 lawsuits per month just from China, or about 3600 per year. Some suits were against the USCIS for unreasonable visa processing delays or unfair visa denials, but most were against regional centers or their agents. And for the Chinese investor, remember that USCIS approval of a regional center does not vouch for the integrity of the operator or the soundness of the business plan. It just means that the regional center paid a fee and submitted an economic study. By my calculation, only 6% of regional centers have produced permanent green cards for their investors. 1. Look for a regional center with approved projects ready for construction. The term "project exemplar" indicates a project specifically approved by USCIS. Do not be swayed with vague verbiage such as "we only select the best projects", which sometimes is an excuse to do nothing but use your money for other purposes. Your response should be "Name those projects!". 2. If you are conversant in English, make a telephone call to or e-mail the local government planning department about the project you will be funding. In a few minutes you can ascertain that the project is approved for construction. The most ready-to-build projects will have both development approval and building permits. Too many foreign investors, however, are stuck in limbo regarding projects which have not yet had development approvals. Development approval and building permits can take years, and you will not be able to apply for the I-526 temporary green card until afterwards. 3. Look at the track record of the regional center. This is easier said than done because some regional centers make false claims, such as "100% approval of green cards". If in doubt, one can make an FOIA (Freedom of Information Act) request to USCIS to verify that the regional center has had I-829 applications for the permanent green card approved. Needless to say, EB-5 regional centers are not monitored for truth in advertising. If you are already an EB-5 investor and you think that you have been cheated by your regional center, please feel free to contact me for a free consultation. You may not have to hire an attorney if I can persuade the U.S. Government to file a complaint.